Order this free ebook to download here. 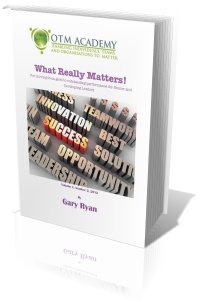 This complimentary ebook is for Senior & Developing Leaders who share our view that organisational success is created through enabling people to be the best they can be, was created from a selection of articles published on the OTM Academy from May 1st 2012 through to August 31st 2012. The ebook includes articles to help you move from 'good' to 'high' performance. Please feel free to join the OTM Academy - it's free!